I must admit I have had a lack of inspiration for my Sunday post since visiting Brighton. I have been saving my pennies as I am heading to Rome at the end of this month. Here are some items I have been enjoying in recent weeks. Panda Strawberry Bears are Vegetarian & Vegan and yummy. 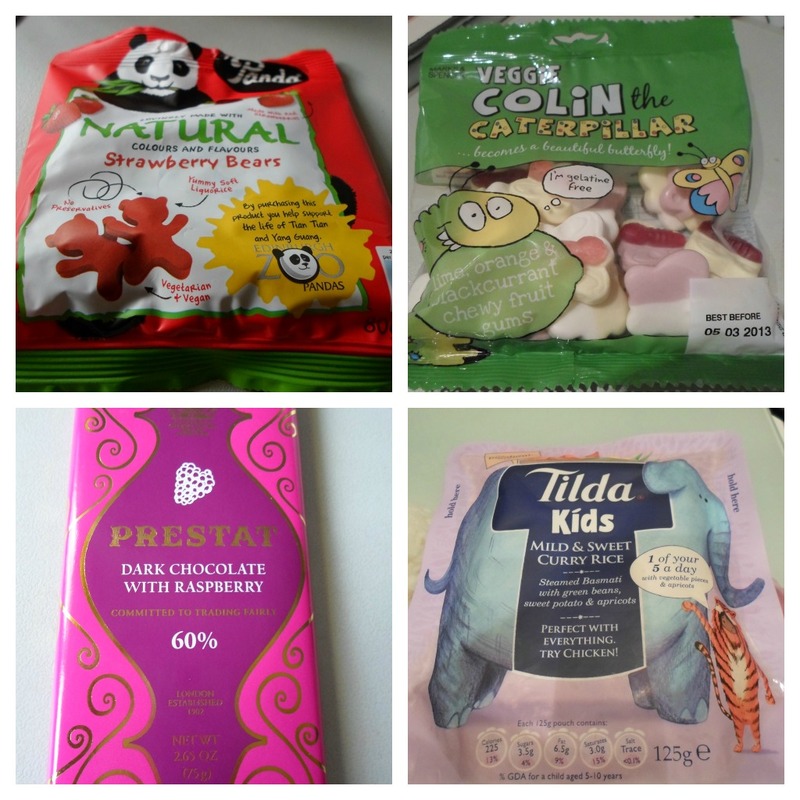 I can't remember who tweeted/blogged about Veggie Colin Caterpillar sweets but thank you, they are nicer than Percy Pigs. I no longer have the packet but I think the label said not suitable for milk allergy due to the manufacturing processes but I took the risk. I discovered Prestat chocolate in Tesco (£2.20) I think it's delicious, not too bitter for me. Labelled as may contain milk, nuts, gluten and egg (does contain soya). You might think I'm bonkers but I am liking Tilda Kids rice for my lunch. It's the perfect size for me. There are four flavour options sadly this is the only one that does not contain milk. I finally finished my tube of Antipodes Rejoice Cream which I reviewed back in May. At some stage I will repurchase this as I am very impressed with how it makes my skin feel. I have pretty much used it once a day since I got it so it's good value for money. I'm not a massive fan of dark chocolate but with a milk allergy it's a way not to miss out. I prefer a lower cocoa content 60% is my max. Oooh that Trader Joe chocolate sounds lovely. I've never tried Vegan marshmallows I am not too sure where I would even find them to be honest.